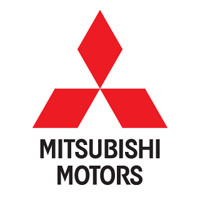 Whether you use your Mitsubishi for work or play, give it the best protection available against all the water, dirt and mud the British weather can throw at it with our UK manufactured, hand finished tailored car mats. Cut from the original template to ensure a perfect fit and with easy and secure installation using the fixings supplied, customise your car mats by choosing from different materials, colours and by adding your own text or logo. Create your own unique style but provide proven and hardwearing protection that, like your Mitsubishi, will not let you down.